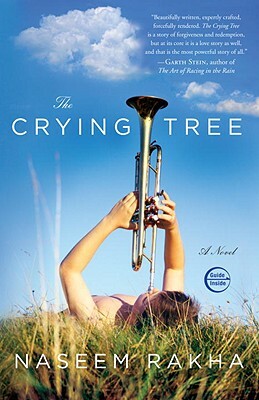 Dramatic, wrenching, and ultimately uplifting, The Crying Tree is an unforgettable story of love and redemption, the unbreakable bonds of family, and the transformative power of forgiveness in the wake of a tragedy. Shortly after Irene and Nate Stanley move to Oregon with their two children, Bliss and Shep, the unthinkable happens: Fifteen-year-old Shep is shot and killed during an apparent robbery in their home. The murderer, a young mechanic with a history of assault, robbery, and drug-related offenses, is caught and sentenced to death. Shep’s murder sends the Stanley family into a tailspin, with each member attempting to cope with the tragedy in his or her own way. Irene lives week after week, waiting for Daniel Robbin’s execution and the justice she feels she and her family deserve. The weeks turn into months and then years. Ultimately, faced with a growing sense that Robbin’s death will not stop her pain, Irene takes the extraordinary and clandestine step of reaching out to her son’s killer. Years later, Irene receives the notice that she had craved for so long—Daniel Robbin has stopped his appeals and will be executed within a month. This announcement shakes the very core of the Stanley family. Irene, it turns out, isn’t the only one with a shocking secret to hide. And as the execution date nears, the Stanleys must face difficult truths to find a way to come to terms with the past. NASEEM RAKHA is an award-winning broadcast journalist whose stories have been heard on NPR. She lives in Oregon’s Willamette Valley. "Beautifully written, expertly crafted, forcefully rendered. Naseem Rakha lays bare all the ambiguities and nuances of our culture in a story that is compelling and deep. The Crying Tree is a story of forgiveness and redemption, but at its core it is a love story as well, and that is the most powerful story of all." In The Crying Tree Naseem Rakha uses grace and honesty to tell the gripping story of parents losing a son to murder and their desperate hope that an execution will provide closure, while allowing readers to consider the idea of forgiveness as a means of healing. Naseem Rakha writes with both clarity and sympathy about one of the most mysterious and evasive of human impulses: forgiveness. The Crying Tree is a memorable and deeply humane novel. acts, [Rakha's] debut novel seems designed to inspire heated debate in book clubs."